IMPHAL, Jun 14: On the charge of mobilizing a movement against the demand for an Alternative Arrangement for the Nagas of Manipur outside the Government of Manipur pending a solution to the Indo-Naga issue, former Outer Manipur Parliamentarty Constituency MP Mani Charenamei has been boycotted for good. A well placed source informed that the decision to socially boycott Mani Charenamei was adopted at a meeting of Naga leaders held under the aegis of the United Naga Council (UNC) at Senapati on June 10. The same decision has also been intimated to all Naga tribe leaders so that the former MP is effectively ostracised from the Naga society. Notably, Mani Charenamei contested the 14th Lok Sabha election as a UNC sponsored candidate and won the Outer Manipur Lok Sabha seat. As an MP, Mani Charenamei joined the Committee on Alternative Arrangement and took key roles in the movement for Alternative Arrangement. However, in the 16th Lok Sabha elections held recently, Mani Charenamei contested the election as an independent candidate unsuccessfully. Had Mani Charenamei not contested the election, NPF candidate Soso Lorho would have got all the votes secured by the former MP and the NPF man could have easily won the Outer Manipur Lok Sabha seat, said the source. Many Naga leaders are not happy with Mani Charenamei as he is seen as posing hurdles to the political manoeuvres initiated to bring a solution to the Naga issue. NPF candidate Soso Lorho lost to Congress candidate Thangso Baite in the recent Lok Sabha election by a margin of just around 15,000 votes. On the other hand, Mani Charenamei secured around 35,000 votes. Many Naga leaders are of the opinion that Mani Charenamei ate into the Naga vote banks and it was a major factor for the defeat of NPF candidate in Manipur. One key leader of the UNC told The Sangai Express that Mani Charenamei after being elected MP joined the Committee on Alternative Arrangement. He also took major roles in the committee and was present in the first three rounds of the tripartite talks. However, taking a sharp U turn, Mani Charenamei in his efforts to woo voters ahead of the 16th Lok Sabha election raised the question of Alternative Arrangement demand’s legitimacy in the public domain. This caused a major setback to the movement for Alternative Arrangement, said the UNC leader. Contrary to the general expectation of championing for the cause of Alternative Arrangement, Mani Charenamei built up a counter-movement, thereby creating confusion among the Naga people although he was supported by a handful of people. 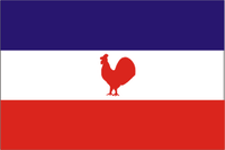 Because of his counter movement and disrespect of the Naga issue, majority of the Naga leaders who attended the Senapati meeting of June 10 felt that Mani Charenamei should not be given any place of dignity in the Naga society. Will the Naga leaders come out from the swamp of Indian election and fight for Nagas’ rights to self-determination? Hopefully, the Naga leaders will soon realize their own mistakes and if they do not realize their own mistakes and do not have the future visions through this EXPERIMENTAL WORK in Indian election. They will soon reap what they have sown. Many of our leaders talks about the Nagas’ rights to self-determination but practically they are in the swamp of Indian politics. Let the common Nagas involve in Indian election and politics. However, the Nagas leaders should avoid as far as possible from Indian politics and election, because this politics bring only more divisions, hatred, misunderstanding, threat of life and more importantly losing the visions and zeal to fight for Nagas’ rights to self-determination. The Nagas leaders involving in Indian election with the Nagas mass to test the oneness of the Nagas have miserably failed today. The Naga mass do not failed their leaders but their leaders have miserably failed to embrace and help to bring together the Nagas for not implementing their rules and resolutions equally and uniformly in all the Naga inhabited areas or atleast in all the constituencies. Nagas have a huge population and there will be obviously many capable MP candidates. Every Naga candidate is capable in one way or other ways, and you cannot ignore one or select the other one. However, it is possible to select or nominate one candidate only if the there is mutual understanding among the aspiring candidates. And firstly, this mutual understanding among the candidates will come only when there is enough interaction among the leaders with the aspiring candidates in well advance. Secondly, there will be no opponent candidates, and even if there is opponent contender, he or she will be the loser. However, this is really no happening with the Naga leaders who are nominating their candidate. In the name of Naga leaders, they will nominate someone, but if the public do not like and will no vote for him or her, it will bring more disgrace to their leadership, and also the unity of the Naga people will be questionable by the GOI and also by non-Nagas. For example, Kim Gangte and Thangso Baite won in last and previous MP election, while the Nagas are fighting among themselves. If the Nagas leaders’ nominated candidate lost, the best excuse can be, ‘it is only a politics’ and wash their hands. We may be able to give lots of excuses and wash our hands, but you cannot give excuses to EVERYONE and wash others heart what is already planted in their heart by you. Instead of the Naga leaders strongly involve in Indian dirty politics, let every candidate make a vow through writing to work for the Nagas before filling their nomination, and whoever win the election work for the Nagas. Sometime leaders do not need to run here and there to do the work, but only right command and right approach from sitting on the chair can be done the right work. Will Soso Lorho becomes the ultimate Nagas’ mandate candidate or sacrificial lamb in Manipur MP election? are supposed to be the anti-Naga candidates or Nagas non-mandate candidates per the last election’s trends. But interestingly two Naga non-mandate candidates (according to the Naga leaders) like Francis (Senapati District) and Gaikhangam (Tamenglong District) have become the Cabinet Minister in Manipur, while all the so called the pro-Naga candidates have become sitting or sleeping MLA in Manipur enjoying now only as the Chief Guest almost in every function or festival. And more interestingly, some of the candidates were discouraged to contest in the election and ultimately they were lost in the election. Will the Naga leaders discourage this time the other candidates like in last Assembly and MP election? If the answer is ‘Yes’ then the other candidates will be considered as Nagas non-mandate candidates or anti-Naga candidates. If the answer is ‘No’ then the Naga politics is becoming more and more complicated as the rules and the laws (resolutions) keep changing and applies in different places (constituencies). Indian Election in Naga inhabited areas have severely infected so many Naga leaders and common people due to some simple reasons, which every one knows. And now the Naga Politics has become so complicated and it is becoming quite difficult to understand the Naga politics. Politics itself is not a dirty thing. But politics become dirty when we make dirty the politics. You may no like it this but Naga politics has become much more complicated after the Naga leaders have accepted the Indian Election and its electoral systems in Naga inhabited areas. The bitter truth! ‪#‎If‬ the Naga leaders continue to actively involve in Indian election and its politics, instead of bringing Nagas as one community, it may bring more hatred, jealousy, misunderstanding, grudges among the Naga people based on political parties and Naga UG factions. ‪#‎However‬, it may be good to know more and debates if there is any positive effects of Naga leaders strongly involving in Indian Election in Naga inhabited areas after 2000 AD. Nagas boycotted the Indian election in 1952 and the problem continued in Naga inhabited areas till the Nagaland State was formed in 1963.